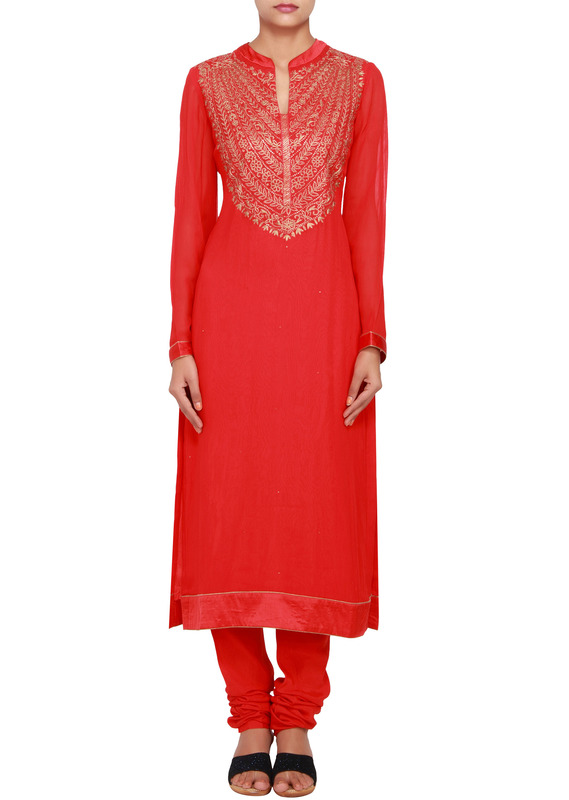 Featuring a red georgette straight cut suit embellished in zari at the bodice. 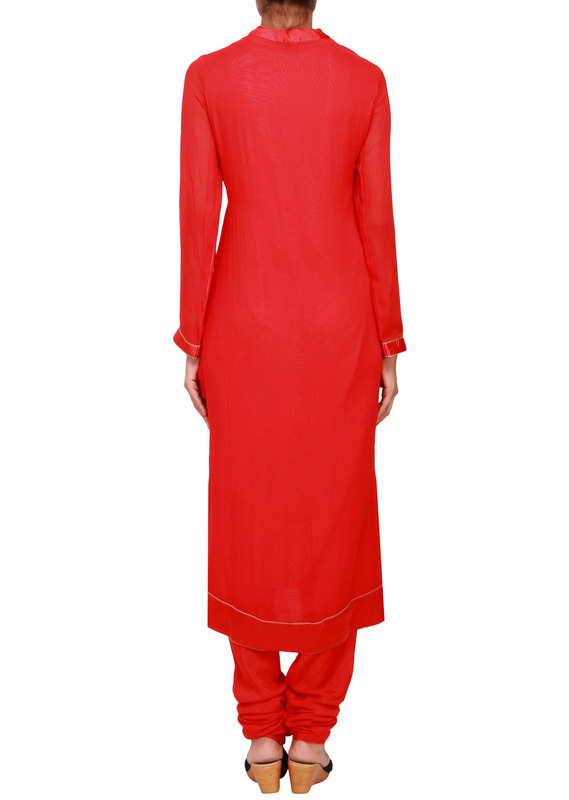 It has full sleeves with satin cuff and round neckline with opening. 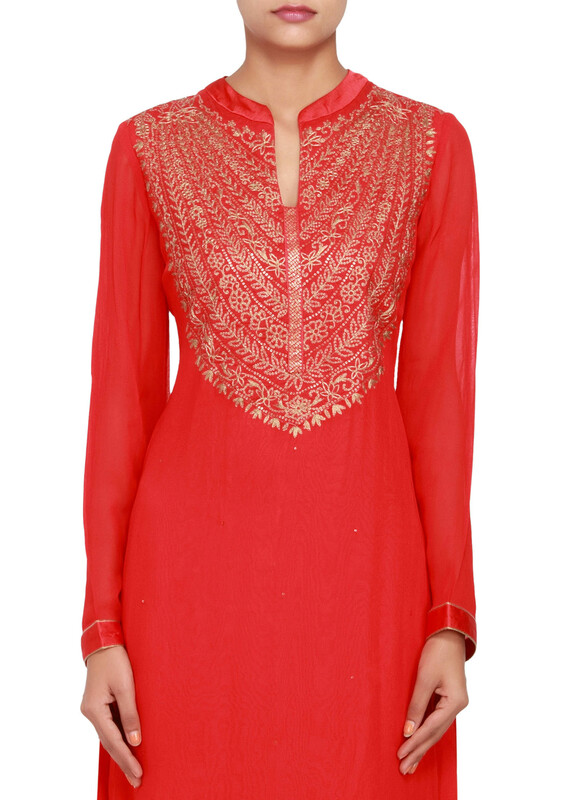 Border embellished in red satin. It comes with matching churidaar and chiffon dupatta.